You can now apply for fall quota hunt permits from May 15 to June 15! Media contact: You can now apply for fall quota hunt permits from May 15 to June 15! Did you know that the Florida Fish and Wildlife Conservation Commission (FWC) has its own hunting channel on YouTube? Next time you’re online, go to YouTube.com/HuntFloridaTV and subscribe to get hunting tips and hear about upcoming regulation or quota application changes. And please “share” our HuntFlorida TV channel with your hunting buddies too! Speaking of quotas, every hunter knows you have a better chance of catching a monster buck off guard during the first part of hunting season. That’s why many of us enjoy hunting the archery and muzzleloading gun seasons – and why we can’t miss opening weekend of the general gun season. If you hunt public land, you should know that many of Florida’s wildlife management areas require a quota permit to hunt during archery, muzzleloading gun and all or part of the general gun season. A quota is the maximum number of hunters allowed on a particular WMA. The FWC’s Quota Hunt Program prevents overcrowding on such areas and provides quality hunts. Quotas also help control game harvests. The FWC sets quotas based on an area’s size, habitat, game populations and regulations. There are several types of quota permits, and most are issued by random drawing. This year there’s been a change – the Phase I application period for these fall quota hunts is now May 15 – June 15. I’m talking about archery, muzzleloading gun, general gun, wild hog, youth, family, track vehicle (a swamp buggy with tank treads), airboat and mobility-impaired quota hunt permits. You may apply for each of the hunt types, and there is no fee to do so. However, unless exempt, you must have an up-to-date management area permit (or a license that includes one) when applying for a quota permit or the system won’t accept your application. The FWC offers youth deer hunts on Camp Blanding WMA in Clay County and on Andrews WMA in Levy County. If you have children between the ages of 8 and 15, and you want them to have a chance to experience one of these great hunts, apply for a youth quota hunt permit – 160 kids will get to participate. During these hunts only the youngsters may hunt, and they and their adult supervisors are the only people allowed on the area. This coming season, there will be family quota hunts on 28 WMAs. These areas are Matanzas (St. Johns County); Andrews, Goethe and Devil’s Hammock (all three in Levy County); Dinner Island Ranch (Hendry County); Lafayette Creek (Walton County); Allapattah Flats (Martin County); Perdido River (Escambia County); Cary (Duval/Nassau counties); Okaloacoochee Slough (Collier/Hendry counties); Blackwater (Okaloosa/Santa Rosa counties); Belmore (Clay County); Four Creeks and Ralph E. Simmons (both in Nassau County); Hatchet Creek (Alachua County); Thomas Creek Kings Road Unit (Duval County); Hilochee Osprey Unit (Polk County); Lafayette Forest (Lafayette County); Babcock Ranch Preserve (Charlotte County); Aucilla Pinhook Area (Jefferson County); Chipola River Altha Tract (Calhoun County); L. Kirk Edwards (Leon County); Apalachicola Bradwell Unit and Beaverdam Creek (both in Liberty County); Jennings Forest (Clay/Duval counties); Lower Hillsborough (Hillsborough County); Twin Rivers (Madison/Hamilton/Suwannee counties);and Little River (Suwannee County). 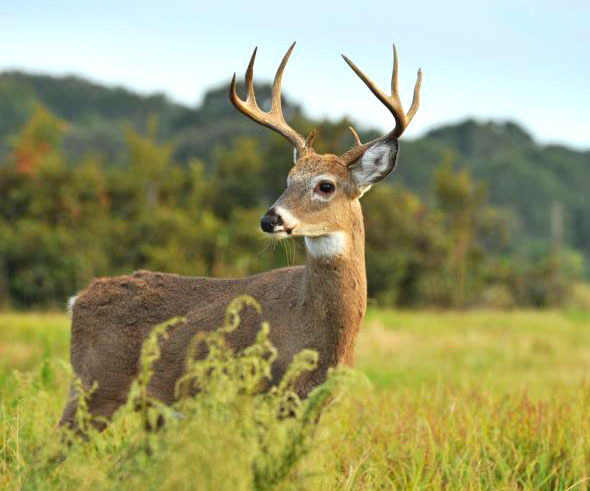 You must have a family quota hunt permit to hunt these areas during specific time periods. If you are drawn, the permit requires one adult to take one or two youths hunting. The adult may not hunt without taking along a youngster. Hunters certified by the FWC as mobility-impaired may apply for mobility-impaired quota permits. These permits allow exclusive access to general-gun hunts on nine of the state’s better public hunting areas: Blackwater Hutton Unit (Santa Rosa County), Dupuis (Martin/Palm Beach counties), Econfina Creek (Bay/Washington counties), Ralph E. Simmons (Nassau County), Holton Creek and Suwannee Ridge (both in Hamilton County), Seminole Forest (Lake County), Babcock Ranch Preserve (Charlotte County) and Hickory Hammock (Highlands County). If you want to get the jump on one of these hunts, apply from May 15 – June 15 at License.MyFWC.com or have a license agent or tax collector’s office apply for you. To find out if you’ve been selected, log into your customer account at License.MyFWC.com after 10 a.m. on June 19. If you don’t get drawn for a particular hunt type, you’ll get a preference point for next year’s drawing, which will improve your chances of being selected. If you’re unable to use your quota permit and you return it before 10 days prior to your hunt, you’ll get your preference point restored. Here’s wishing you good luck in drawing one of these great permits. Remember to introduce someone new to hunting when you can. As always, have fun, hunt safely and ethically, and we’ll see you in the woods!